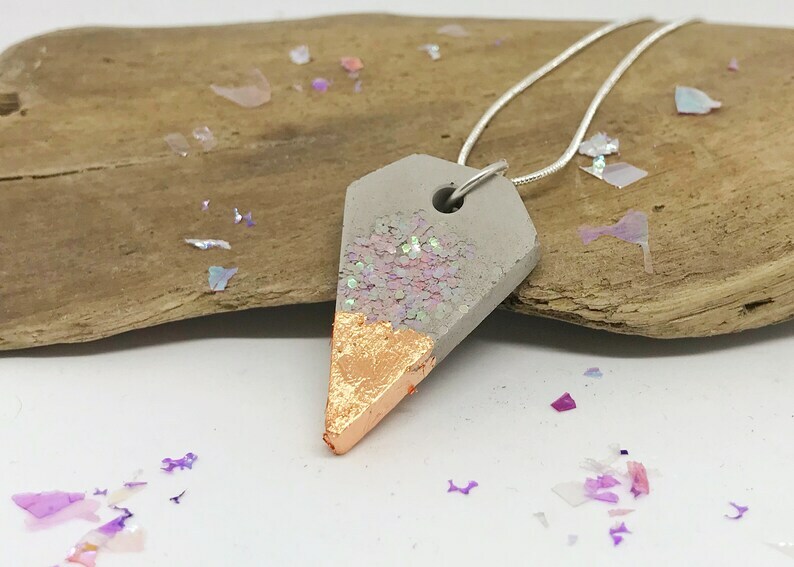 Concrete chain "Spell meets Desire"
Gorgeous concrete necklace, decorated with Flakes in Copper and pink Shimmer. A real Eye-catcher. The Chain is pleasantly light.